In the U.S., “teachers are being asked to learn new methods of teaching, while at the same time are facing even greater challenges of rapidly increasing technology changes and greater diversity in the classroom. Given such challenges, relatively few teachers report feeling well prepared to integrate educational technology into classroom instruction”(www.pt3.org). Are teachers in China in the same situation for their career? This study was conducted to determine how pre- and in-service educators feel about their basic computer skills and their level of competence to integrate technology effectively in their professional career. Several surveys have been conducted in China on hundreds of pre- and in-service educators by using the surveys from the International Society for Technology in Education (ISTE). Similar to America in general, teacher-training programs in China do not provide future teachers with the kinds of experiences necessary to prepare them to use technology effectively in their classrooms. The findings in this report should alert and inform teacher-education programs/institutions and policymakers in China. Liang, G., Song, J., Liu, G., Walls, R., Li, G., Wang, Z. & Yin, H. (1997). Are teachers in China ready to teach in the 21st century?. 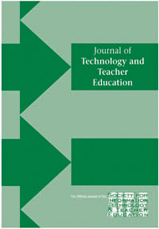 Journal of Technology and Teacher Education 197-209. Charlottesville, VA: Society for Information Technology & Teacher Education. Retrieved April 24, 2019 from https://www.learntechlib.org/primary/p/4705/. Zhang, J. (2002). Incorporating ICT into K-12 schools: Ch ina’s perspective in the global backgrounds. TechTrends, 46(4) , 49-57.